Dr. Hoops is trained in a variety of techniques to correct or adjust the spine. The main techniques that she uses are called Diversified, Gonstead, and Thompson drop. These are hands-on techniques and have been found to be very effective. Dr. Hoops is also trained to use an Activator. An Activator is a type of adjusting instrument that utilizes very low force to adjust the spine. This technique will administer a very local and specific force to one particular vertebra. 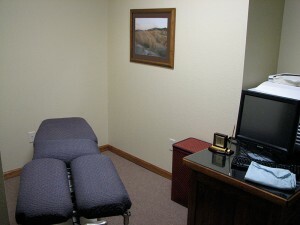 Many patients suffer from low back pain. Dr. Hoops is trained in a technique called flexion-distraction. 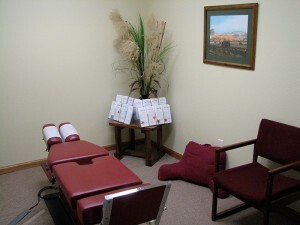 The table used for this treatment is different than a normal chiropractic table. This table allows for the stretching and bending of the lower back. It has been found to be very effective in treating such conditions as spinal canal stenosis and herniated/slipped discs. In addition to using adjusting techniques, Dr. Hoops can perform hair and saliva analysis to determine nutritional status. Based on these results, Dr. Hoops can suggest nutritional supplements for her patients. She also has several products available for purchase.